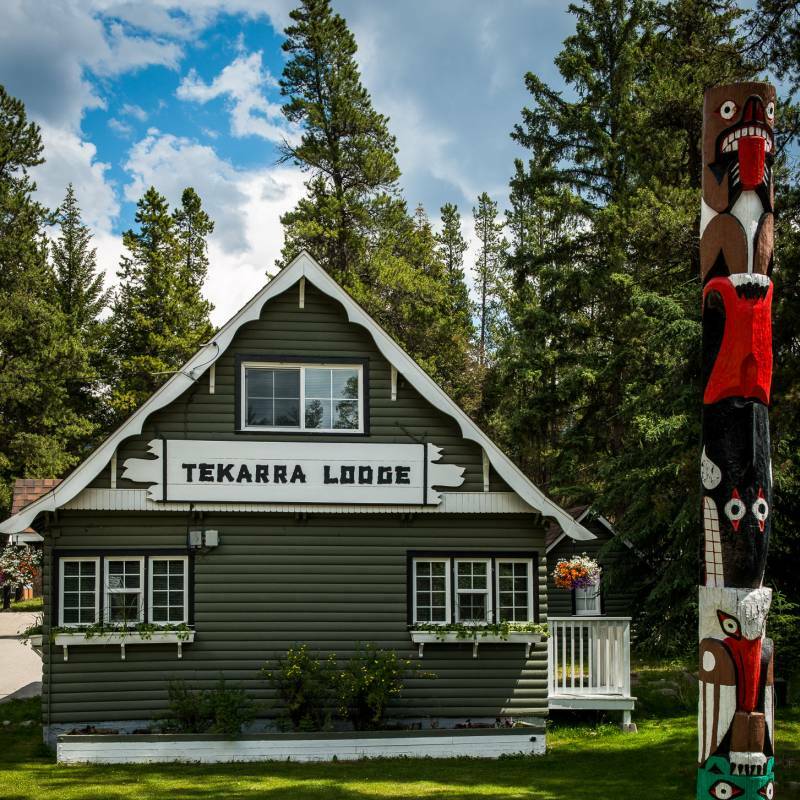 Just south of Jasper, the Tekarra Lodge overlooks the national park and is a wonderfully rustic place to stay. 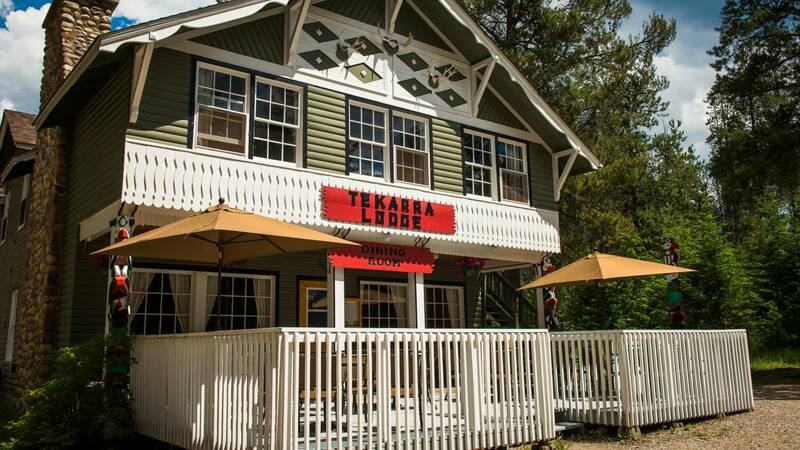 Whether you want to enjoy the outdoor activities in the area such as rafting or take a more leisurely stroll along the trails, or join in the yoga or nightly fire pit, you can choose your pace. The peace and charm are a real draw (there are no TVs or telephones) as well as the spectacular mountain view from your cabin’s porch. When you sample the delights of the restaurant, know that Marilyn Monroe also ate there. This is a very comfortable way to delve into Alberta’s wilderness. 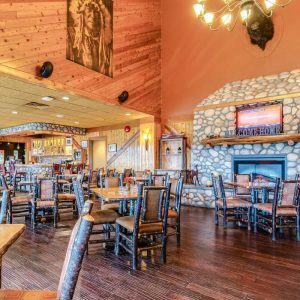 The cabins are rustic and unique in design; Local hardwoods and stones are used throughout the cabins which feature wood paneling, boast hard wood floors and offer both propane heat and wood burning fireplaces. The kitchens are fully equipped with utensils, plates, pots and pans, glassware, toaster and coffee maker. 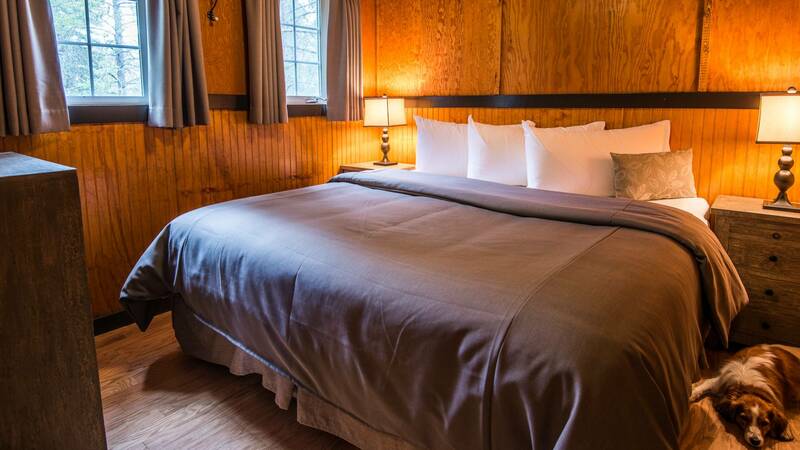 Astoria Cabin: Deluxe cabin with two separate bedrooms, a queen bed in one bedroom and the second bedroom has one king bed. 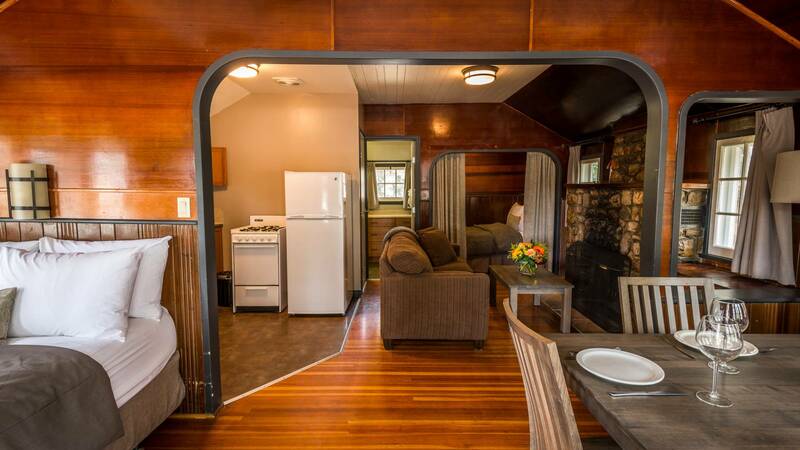 Sofabed in living room, Wood burning fireplace, Shower, Fully equipped kitchen. Approximately 475 Square Feet. 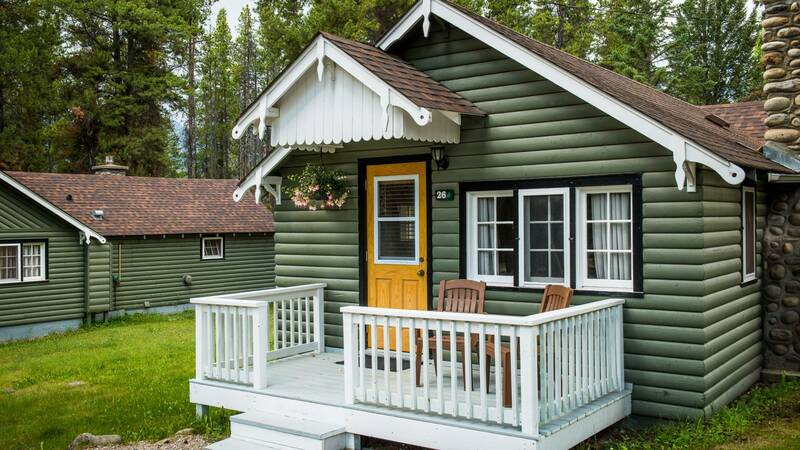 Athabasca Cabins: Family cabins with two double beds in separate alcoves, one with privacy curtains and single bed in separate bedroom. Sofabed in living room. Wood burning fireplace, Shower Fully equipped kitchen. Approximately 430 Square Feet. 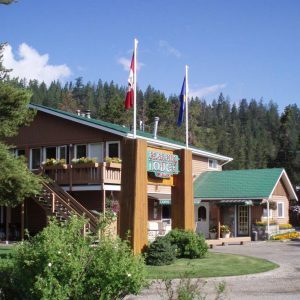 Alberta Cabins: Medium duplex cabins with 2 different floor plans: one queen bed in a separate bedroom with pullout sofa bed or queen bed and pullout sofa bed in main living room. Wood burning fireplace, Full bath or shower, Fully equipped kitchens. 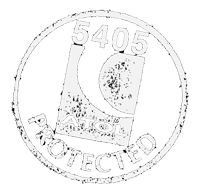 Approximately 340 – 350 Square Feet. Miette Cabins: Small duplex cabins with 3 different floor plans: a queen bed with pullout sofa, a double bed only or two twin beds. 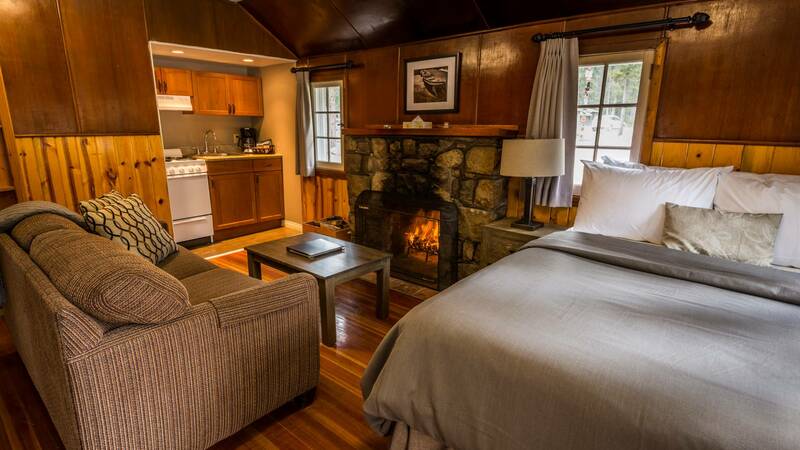 Bathroom with tub or shower Kitchenette, Wood burning fireplace, Approximately 200 – 300 Square Feet. Lodge rooms include breakfast. Queen or twin room in the main lodge. Bathroom with shower. Tekarra Cabins: Large cabins with two double beds in separate alcoves, one with privacy curtains and renovated kitchens and bathrooms. 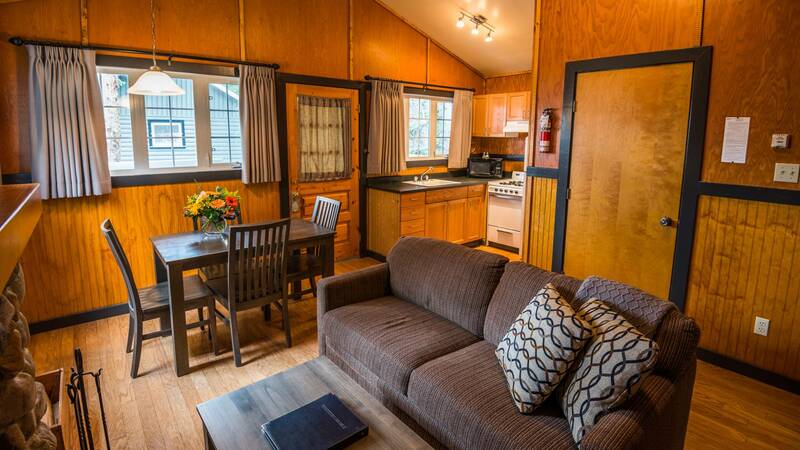 Sofabed in the living room, Wood burning fireplace, Full bath, Fully equipped kitchen with microwave. Approximately 430 Square Feet. Rustic charm in a gorgeous setting.